Let's face it, the winter months are harsh on our skin. The dryness, cold, and whipping wind can make your body, lips, and face cry out for mercy. 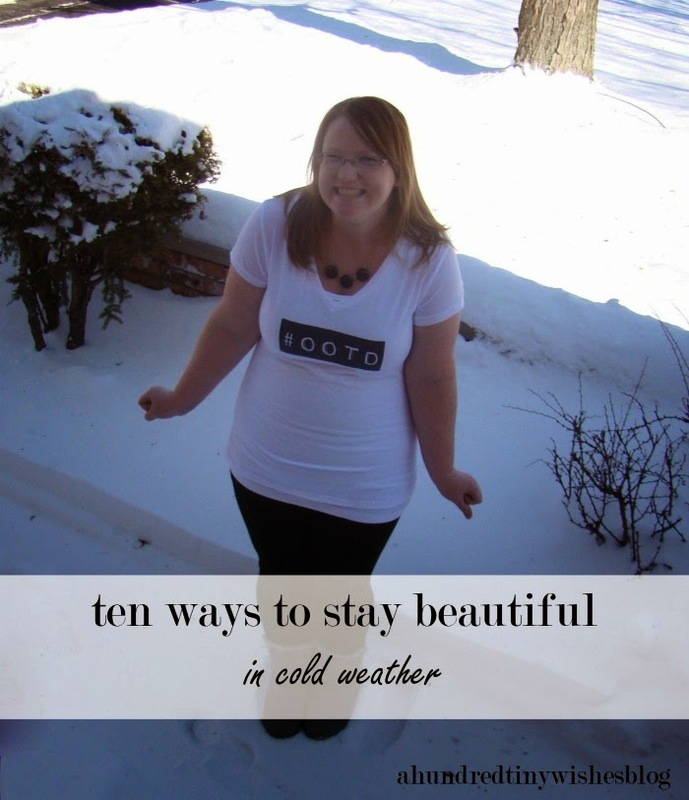 Today I am giving you ten ways to beat the winter chill and help your body stay beautiful! 1 // Moisturize, moisturize, moisturize. Sure, this is a no brainer, but moisturizing after showering is one of the best things you can do for your skin (a quick tip: moisturizing should be done within 3 minutes of getting out of the shower to seal in the most moisture). 2 // Give skin a fresh go at it. Once winter finally sets in, it may be after the holidays, but it's a possibility that stress causing hormones could still flourish and lead to complexion concerns. Why not try a gentle mask, like nügg Deep Cleansing Face Mask with Cucumber Extract & Jojoba Oil or Miracle Skin Transformer Miracle Revival Mud to refresh and recharge your beautiful face. 3 // Use a gentle face cleanser and great facial moisturizer. A gentle face cleanser is just what the doctor ordered to help remove dirt and makeup without stripping your face of it's natural oils. A moisturizer and serum is also excellent in combating winter dryness. I really like Philosophy Purity Made Simple and the Simple Moisturizing Facial Wash.
4 // Add some argan oil to your moisturizer. Argan oil has alot of proven benefits and hydration is one of the biggest ones. If you generally have oily skin, I recommend using a light version like Josie Maran Argan Light. You can add the Argan oil to your facial moisturizer and to your body moisturizer. 5 // Use a hair mask twice a week. Static tends to be more prevalent in the winter, so does dry hair. So to keep your hair from drying out, use a good hair mask or even a dollop of coconut oil. *side note: adding small amount of oil protector, like Argan oil to wet hair also helps fight frizz. 6 // Invest in a new cold weather lippy. Winter is the best time to switch to a high power chapstick/lip treatment. For a list of my five favorites, you can check them out here! 7 // Use less heat tools. Winter weather generally dries out your hair and if you use heat to style your hair everyday, you could damage it even more. Try out a braid or letting your hair air dry. 8 // Invest in a cool mist humidifier. Sure they may look ugly, but it will be hidden away in your bedroom, and you will be amazed at the amount of humidity it puts back into the air, and your dry skin won't be as dry. As a bonus, if you sleep with the humidifier on, it will put moisture into the air AND your hair, thus eliminating static. Another tip: leave the bathroom door open when you take a shower. The humidity will be able to escape to the rest of the house. 9 // Avoid hot baths. Another no brainer. Hot baths draw the moisture out of the skin, and with all of the things you are going to be doing to prevent dry skin, it's just best to avoid hot baths, and long showers at that. 10 // Drink lots of water. It's all about retaining moisture in the winter, and drinking was definitely helps retain and replenish that moisture. Plus it's good for your system. What ways do you implement to help you stay beautiful in the cold weather? How is 2015 treating you so far? 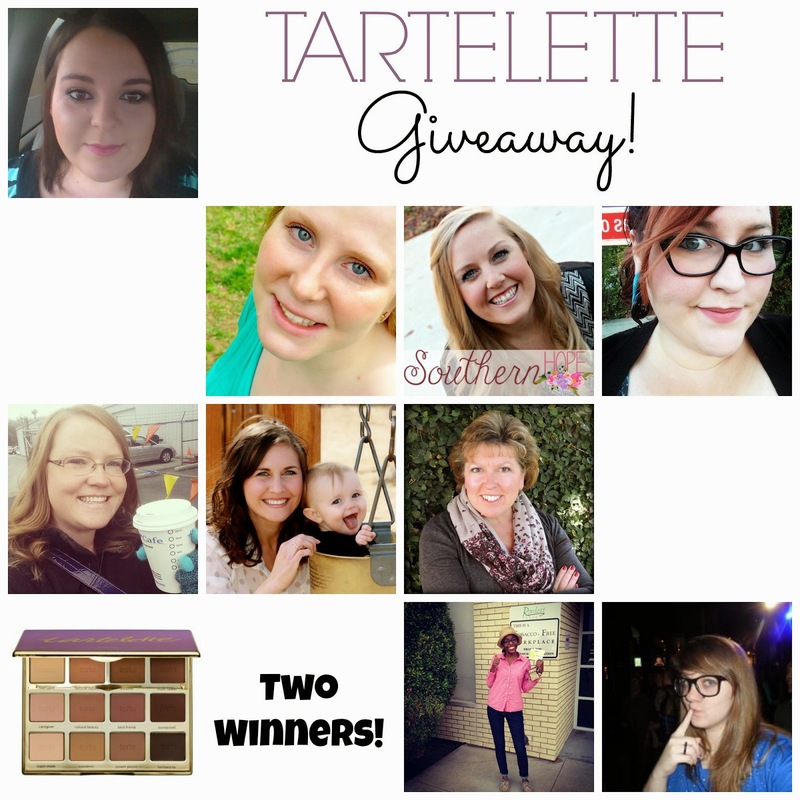 Today is giveaway day! I look forward to giveaways like this one where I can help giveaway something amazing. The Tarte Tartelette palette is simply amazing. If you love matte shadows, or makeup in general then you will absolutely love this palette. To start off the year on a good note myself and all the ladies above are giving away 2 of these palettes! Amazing right?! Make sure you enter below and check out all the amazing bloggers above. Good luck! I can do all of these BUT give up my nightly bath. That's how I relax and unwind. That explains also why I have such dry skin. Some things are worth it right? My hair could definitely use a hair mask right now. These are some pretty amazing tips Tabitha! I recently started using Purity Made Simple and have noticed a huge improvement in my skin! Your #1 is so so so true for all the things on your body. Hair, skin, face, body! Great giveaway, and really great tips you mentioned! !